A large collection of Cataclysm WoW Addons (4.3.4). Easily find the Addon you are looking for by Choosing a category, Searching by name or change the expansion using the drop down on the right! Questhelper tells you how to finish your quests in the easiest, fastest manner. SpellAlerter is a basic spell alert mod based off the original SpellAlert mod. AboutTinyCasterStats is a tiny mod which displays your current caster stats (spelldamage, crit chance, haste, mastery, mp5, multistrike). Handy Notes Trainers allows you to track Trainer locations in HandyNotes. Create fake achievement links to be used in messages to impress noobs, fake PGMs and make laugh your friends and the girls ! This is just a simple FuBar plugin that supports basic functionality, like open options menu and enable/disable SmartDebuff. Quiz about Dragon Soul and 4.3 patch for TriviaBot. MFClip features a full blown single target dot timer with cooldown bars for Mind Blast and Shadow Word:Death and an additional castbar (which shows spell ticks). OptiTaunt is an addon for warriors, druids, paladins and deathknights. It informs you and your party/raid if your taunting abilites were resisted. Adds graph display systems to Skada. Adds ALL Trainers (Class, Portal, Pet etc...), Innkeepers, Auctioneers, Bankers, Guild Bank, Battlemasters and Stable Masters. OneRing3 is a plugin for OneBag3 that styles your keyring frame. This addon is an in-game representation of Kaliban's Class Loot Lists. This small plug in for Titan Panel takes numbers from Recap, such as individual and group DPS, and passes them to Titan Panel for display. A small simple and compact addon that prints a message in party chat letting your party know you've been CC'd and in what way. IgnoreMore will let you ignore more than 49 players as well as various other things. Are you tired of boring videos of people explaining bosses? Wanna have fun learning strategies? This is for you! World of Warcraft Cataclysm Trivia: Questions 1-500. 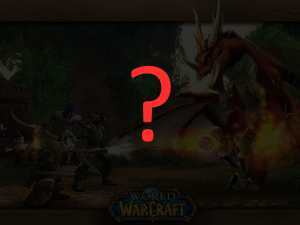 World of Warcraft Cataclysm Trivia: Questions 501-1000. HandyNotes City Guide helps you track various things. HandyNotes_Vendors allows you to track Vendor locations in HandyNotes. Afflicted is an enemy spell timer mod for PvP (mainly arenas). Unit frames for your arena opponents, plus more. Titan Panel plugin to monitor and display Token/Currency information. Here is a dark blue skin for your Titan Panel.